I have always been a little skeptical about those claims that you can heat a super-insulated zero carbon house through body heat alone. I mean, your body heat might keep a sleeping bag warm, but your whole house? But this thanksgiving gathering was a natural experiment. 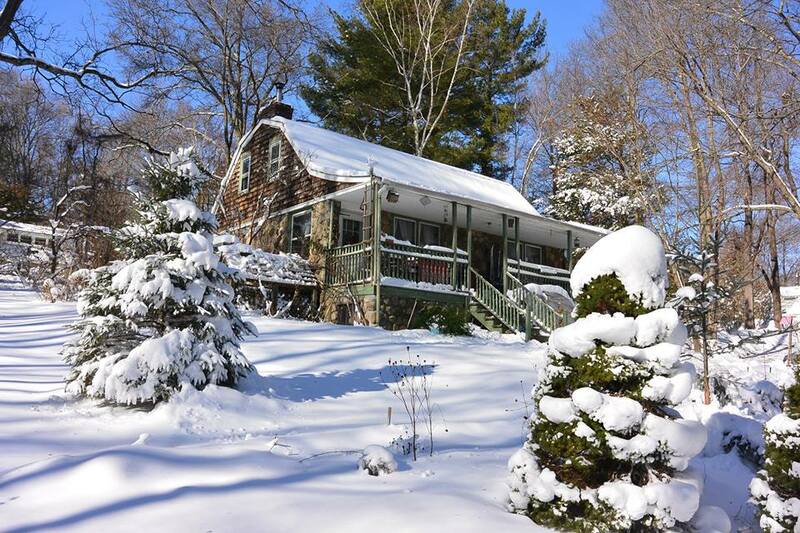 We haven’t turned the central heat on in our 1937 not particularly well insulated stone house yet. 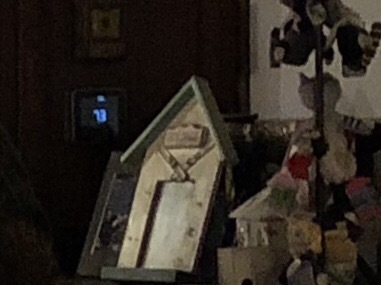 The sole wood stove usually struggleds to get the living room temperature into the 60s when ( like yesterday) the outside temperature is in the 30s. 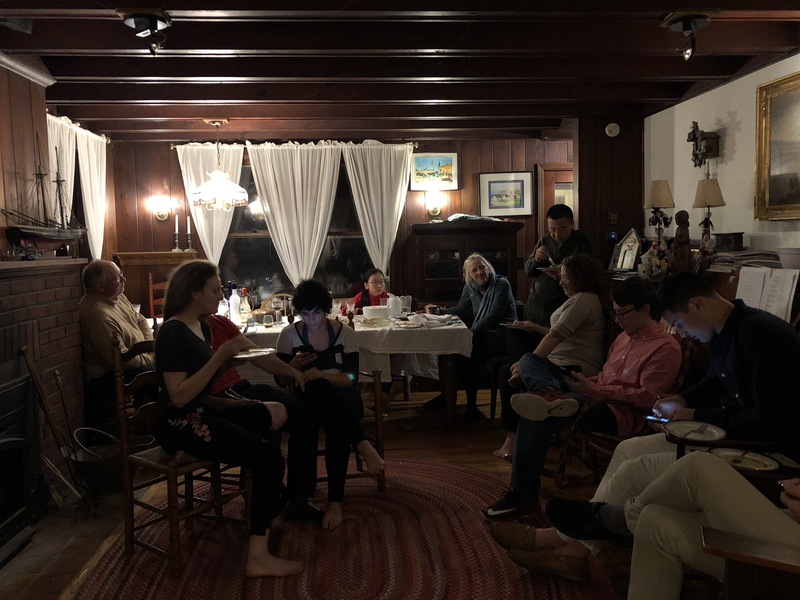 But by the time we packed twelve family members and guests around the table, the thermostat was in the mid-70s even though the wood stove fire had dwindled to embers. People were stripping off their fleece. Apparently, each human body gives off about 100 watts. So our ten guests were the equivalent of a one kilowatt space heater in the middle of the living room. I had a warm and wonderful Thanksgiving! And the turkey in the oven didn’t hurt. Living on a carbon budget means coming up with an accounting system for carbon impacts where no accounting conventions exist . . . yet. Recently I dealt with two personal carbon accounting riddles. Two weeks ago, my brother-in-law’s sailboat ran into rocks off Barnegat, New Jersey and started sinking (he was asleep and his friends were steering). Fortunately, the Coast Guard quickly came to the rescue, no-one was hurt much, and the boat can be repaired. But when my shipwrecked brother-in-law landed at our house for a few days he donated the contents of his boat fridge, including about three pounds of hamburger and kebobs to our home fridge. Also, last weekend, a neighbor offered about a cord of seasoned but unsplit white oak firewood from a tree that fell down a year ago on her property, and I couldn’t pass it up. My brother-in-law doesn’t keep a carbon tab. Actually I don’t know anyone personally besides myself who does. If he did, he would probably beat my 4T/year budget, since he lives on a small sailboat year round and almost never flies (he was headed south for the winter when his boat hit the rocks). I didn’t choose to have my brother in law leave his spoilable provisions in my house (he has since rejoined his vessel in New Jersey). These cows have already farted their last, and unlike the act of burning fossil fuels to run a car, eating the beef doesn’t add any new emissions. It might even offset some anthropogenic methane emissions associated with an all-garbanzo bean diet. Since I limit the amount of meat I eat for health as well as environmental reasons, I will probably end up choosing or buying less beef on other occasions in the next month, so this shipwrecked beef minimally reduces overall demand for beef. I think I can eat the beef before it spoils as a carbon-free windfall. 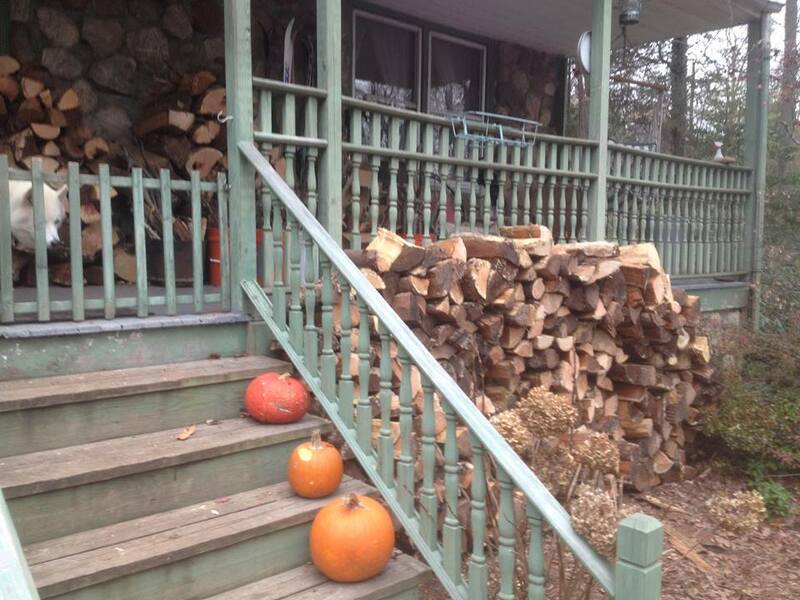 Speaking of windfalls, the firewood is a simpler problem. I think it is fair to count small-scale biomass wood heat as carbon neutral, particularly when you are burning deadwood. Burning deadwood can’t exceed the natural regeneration (and carbon recycling) rate of the forest, and leaving the wood to rot instead means that at least some of the stored carbon would be emitted as methane gas. So my windfall wood heat also counts as a carbon freebie. But I am counting the two miles of driving the Prius to move the wood on my carbon budget — works out to less than a pound of CO2. I keep track of my carbon footprint on a regular basis. My carbon budget goal is four tons of direct impacts on an annual basis. Since the cycle of my seasons follows the academic cycle of class semesters, the start of the academic year in the beginning of September seems like a good time to take stock for a twelve month cycle – better than December 31, which always seems to split one winter season in half. So I finally got around to checking my utility bill so I could close out the gas part of my ’16-’17 academic year carbon footprint – and I undershot my four ton budget again. My total footprint for the year was about 6500 pounds, or about 3.25 English tons of CO2E. Big ticket items on my carbon tab this year included my share of the natural gas for heating and cooking (nearly one ton CO2E), one round trip flight to Utah to attend the Waterkeeper Conference (also about one ton CO2E), and my share of gas for the Prius when we drove to our mountain cabin upstate or to visit our son in Pennsylvania (a little over one-half ton CO2E). For all the grief I get from my even-greener-than-thou friends, my occasional hamburgers and steaks only worked out to about 300 pounds of CO2E for the year – about ten pounds of beef for the year. That’s just a little bit more than the 284 pounds CO2E from my share of the diesel we burned in our sailboat. But that diesel included taking the boat from Charleston to the Bahamas and back to New York, as well as several trips to the ocean and to Block Island. Can’t beat a sailboat for low-carbon hedonism. I have now kept detailed track of my carbon footprint for two consecutive academic years. Both years I substantially undershot my four ton budget without giving up anything that is really important to me. It can be done! We made it back to Block Island, Rhode Island last week. I have been going there, on and off, for decades — the first time I visited was in 1972 with an American Youth Hostels bike trip. My second visit was in an open boat, with one of my brothers, in 1975. Then, as now, the island draws me in as an outpost in the sea, beyond the sight of the mainland (at least on a typically foggy day). Still some of the best scenery and beaches in the world, to my eye. The Nature Conservancy calls Block Islands one of the “last great places” for nature on Earth. This timeless island changes slowly; the Victorian downtown feels like an early 20th C seaside resort. So how do I feel about the new wind turbines just offshore, adding a 21st Century techno-backdrop to the historic hotels? I feel great. Sure, you can see the turbines looming over the town from Scotch Beach, but only if you look carefully. And if you look that carefully, you can also see the oil barges passing south of the Island with their fossil cargo. One might loom over the town more dramatically; the other looms more climatically. I’ll take the view of the wind turbines any day. And not only that, the turbines (and the mainland cable) means they could shut down the noisy, stinky diesel power plant on the island. We got to Block Island the old fashioned way — in a sailboat. 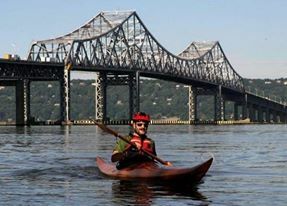 It took just 29 hours from Nyack to Great Salt Pond — down the Hudson River and out around the south side of Long Island. Only three hours under power. We had to leave extra time on the way back, with light daytime winds (and good overnight winds) in the forecast — but the Atlantic treated us to a shoal of pilot whales and a free bluefish dinner off of Fire Island during our return trip. And a fair tide carried us most of the way back up the River to Nyack, with just one hour of running under power. Total fuel consumption for the round trip; about three gallons of diesel. My half share of the fuel equals about 30 pounds of CO2 for our vacation at the seaside. What Does a Bus’s Footprint Look Like? I am riding Adiorndack Trailways north to our cabin in the mountains because I am by myself and the carbon footprint of a bus has to be lower than driving alone, or taking Amtrak, right? 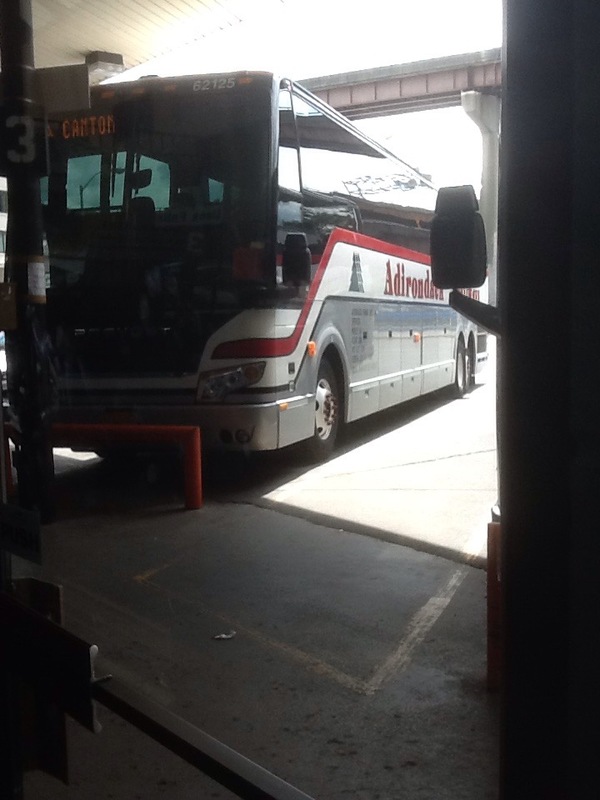 So what is the carbon footprint for one bus passenger traveling 180 mikes by intercity bus? Well, the bus itself probably gets about 6 mpg, so, allowing for detours to stops along the way, that 180 mile trip probably burns about 33 gallons of diesel, or about 660 pounds of CO2 emissions. 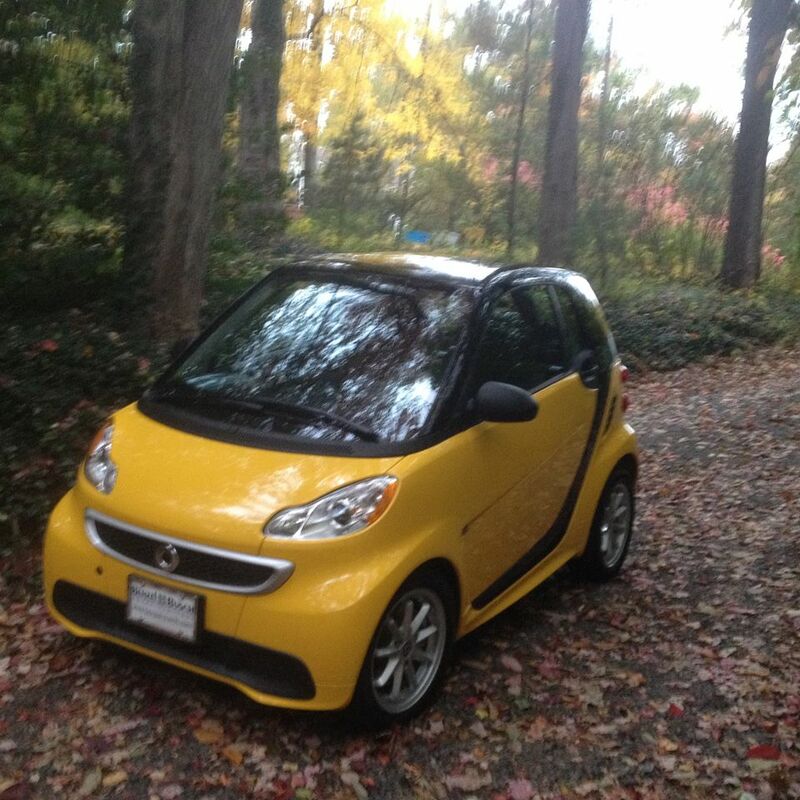 But how many passengers should I split that carbon footprint with? If I count the dozen or so average number of passengers I counted on the bus, I get 55 pounds – not much better than driving alone in a Prius (3.5 gallons, or 70 lbs CO2) or riding Amtrak (180 miles would be 81 pounds of CO2 based on the UCS average of .45 pounds per passenger mile). That’s one of the problems of keeping track of your carbon footprint on public transportation – if you count the actual number of passengers on that empty bus or train, you can come up with some atrociously high carbon impacts for your public transport – driving you back into your personal car and negating the hope that public transit can significantly mitigate transport climate impacts. On the other hand, I don’t buy into the “that bus/train/plane was going there anyway so the carbon footprint of riding/flying is zero” cop out – if you are paying to be on the plane, bus, or train, you own your share of the impacts. You could take the maximum occupancy to get some really attractively low footprint numbers. I could divide that 660 pounds of CO2 by the 50 seats on the bus and claim only 13 pounds CO2 as my personal share of that trip. But that is not really defensible – no public transit system cannot operate at 100% capacity all th time for every leg of every trip. I can’t quite figure out the average ridership per bus for Adirondack Trailways – they claim to carry 3500 passengers on 142 trips each day, which would work out to about 25 passengers per trip – but clearly most passengers don’t ride for the whole “trip” – so the actual average is probably closer to the 12 passengers I observed. I think I will just use the carbonfootprint.com calculator, which gives me 22 lbs co2 for the 180 mile trip by motor coach (.01 metric tons is 22 lbs). Incidentally, that same calculator gives a zero footprint for the equivalent train trip, which just can’t be right. On the plus side, the bus was clean and pleasant and on time mostly. It even had high speed internet for a few hours. And it clearly beats the carbon footprint of train or driving alone – it’s just not clear by how much. This chart is making the rounds, and has been picked up by Grist, the Guardian, and countless other outlets. It makes a good point – enviros tend to focus on small impact personal mitigation measures like recycling or changing light bulbs, and ignore the big impact personal choices, like flying and having a car dependent lifestyle. But it also claims that having one child adds 60 tons annually to the carbon footprint of an individual in the developed world. This makes it sound like one of the most basic aspects of human existence — having a family – is the most climate irresponsible thing you can possibly do. To put that 60 ton number in context, the average per capita carbon footprint in the United States is about 20 tons – the highest in the world. The global per capita carbon footprint possible consistent with holding climate change to 2 degrees Celsius is somewhere between two and four tons per year, depending on whose numbers you use. So how does one child born in the developed world add three times the US per capita carbon emissions every year? Does each newborn come with a Lincoln Navigator and a United Airlines Premier Frequent Flyer Status? The answer is that the one child does not have such an outsized footprint. 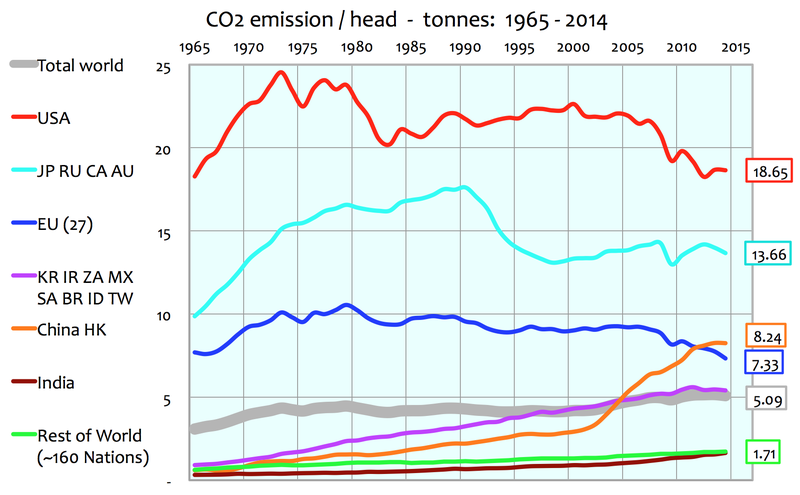 The 60 ton number in this chart misrepresents the underlying study – which accounts for the carbon impacts of all future generations going out over 500 years into the future. The chart making the rounds incorrectly attributes these centuries of impacts to the life of the current parent. Actually, now that I look at it, the calculation does not just extend for centuries into the future, it extends “out to infinity.” So the Murtaugh carbon footprint calculations are not carbon emissions that will occur during any individual’s lifetime. So Wynnes, et al, come up with their “annual” CO2 impacts of having “one” child by taking the cumulative attributable impacts of your children until the end of time and acting as if those impacts occur on an annualized basis during the parent’s lifetime. This is highly misleading, at least. The decision to have children- and how many – is obviously a highly personal choice. But I think having two children per couple – slightly less than zero population growth – is completely defensible as a climate choice. Any argument that the solution to climate change requires the elimination of future generations in order to avoid a backwards attribution of their impacts will not win any converts to the cause. One last note: the Murtaugh numbers used by Wynnes are based on the assumption that current per capita carbon emissions in each country will continue unabated until the end of time. There is not enough fossil fuels on the planet for that assumption to be remotely plausible. This time of year, around the summer solstice, is the annual peak for solar energy around here! I have just a few DIY panels on the roof and side of my house – cost me a couple of thousand dollars five years ago. There are too many shady trees in my leafy exurbia to make a full professional installation worthwhile. The four 150-watt panels I bolted down to the roof face east instead of south and only get about four or five hours of direct sun even during the longish days of late June. With luck I average about 300 watts of actual output from my solar roof for about five hours — about 1.5 kilowatt-hours per day. Not much by home solar standards — my peak solar production is less than a tenth of the annual average solar energy of a typical home installation. But it also cost me less than a tenth of what a professional installation would. The panels charge a 12 volt battery bank, which is connected to an inverter that is usually switched on to cover the house circuit with my refrigerator. The system is not grid tied — either the house circuit is running off the panels and batteries, or it is running off the utility grid. I have no way to return excess solar power to the grid — that would require a professional installation. But the advantage is that I have backup power in case of a blackout. Two more panels on the south side of the house charge another battery bank and inverter that power a couple of floor lamps and the fan for the wood stove. Most of the year this DIY system produces enough to keep the fridge running totally off solar power. If it’s a sunny day, this time of year, there’s enough extra juice to charge my electric motorcycle — three days of surplus sun is about enough for one round trip to work. Works out about right. Of course, I have downsized the fridge — more on that later. The Waterkeeper Alliance Annual Conference pretty much the only thing I think is worth the carbon impacts of air travel, and since the conference this year was in Utah and I had to teach my class at 9 am Monday morning, air travel was pretty much the only option. The good news is that the round trip flight still fits in my 4-ton annual carbon budget — I added up the previous 11 months, and was about 3 tons so far. So I could just barely afford the one-ton round trip carbon bill for the trip to Utah. And every time I fly again I am reminded how unpleasant an experience flying has become – the seats are smaller, they charge for baggage and food now, people are irritable. It is pretty to look a the clouds and landscape from above, though. As President Trump announces the U.S. withdrawal from the Paris climate agreement, state and local leaders have stepped forward to announce their commitment to carrying out the spirit of the Paris accords at more local levels. The governors of New York, California, and Washington have announced a “Climate Alliance” that is committed to implementing the U.S. greenhouse gas reduction in the absence of the federal commitment. Pittsburgh mayor Bill Peduto objected to Trump calling the City out as benefiting from withdrawal from the Paris Accord, and committed the City to implementation of the Paris targets despite the national withdrawal. This is good leadership and exactly the right response at the state and local level to the total abdication of climate leadership at our national level. So what does this mean for climate action at the individual level? I think individual climate action is now more important than ever. And I don’t mean just hopping on a plane to march in a protest or camp out in front of a pipeline carrying fossil fuels to destined to fuel the plane you hopped. I mean setting individual climate reduction goals and meeting them. Governors Cuomo, Brown, and Inslee, and Mayor Peduto are not all saying, “Gee, why should we deprive ourselves of fossil fuel powered economies to meet the Paris goals when red states like Texas and Florida are going to keep on fouling the planet.” Instead, they are making the energy future happen now, taking local action even knowing that in the long run to be effectual national and international commitments will be required. The same leadership principles apply at the individual level. 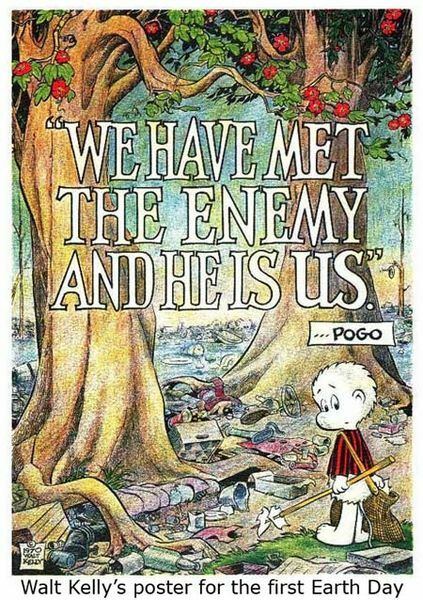 You can give up, say, “why bother reducing my individual footprint when Texas and Florida and China and India and Brazil are all increasing their emissions?” Or you can recognize that social change starts at the individual level and be a climate leader through conspicuous non-consumption. The Paris Agreement is a set of non-binding, individually determined commitments. Withdrawal from Paris is completely nonsensical because, if the committed reductions were too onerous, the U.S. could modify its commitments unilaterally, at will. And the U.S. voluntary commitment was never, by itself, enough to limit warming to 2 degrees. But it was a public declaration of a step in the right direction. Why not each set our own private Paris? The U.S. Individual Nationally Determined Commitment under the Paris Accord was a 17% reduction in GHG emissions by 2020, and a 26% reduction by 2025. If the States of California, New York, and Washington, as well as localities across the country are willing to commit to that reduction, why not each of us personally? The Paris Accord asks each nation to take stock, decide for itself how much GHG reduction is fair and achievable for itself, and implement those reductions. Any individual concerned about the climate can make this same determination. My own Individual Individually Determined Commitment is to keep my direct individual footprint below 4 tons of CO2E per year, about a 75% reduction from the average American footprint of about 20 tons per year. It is achievable for me without giving up anything that is really important. What is your Individual Individually Determined Commitment? Not every committed climate activist is willing to make the commitment I have, but are we all willing to make some commitment – set a goal, and check at the end of the year that we have met it? Can we all achieve a 17% reduction by 2020 and 26% by 2025, as the Obama administration committed the nation as a whole? Can we each try and meet the EU average footprint of 7 tons per capita annually? At least keep our footprint below the outsized American average footprint of about 20 tons per year? The Paris reductions were all voluntary. We can each make our own voluntary commitment to take part in addressing climate change. We are all Paris. 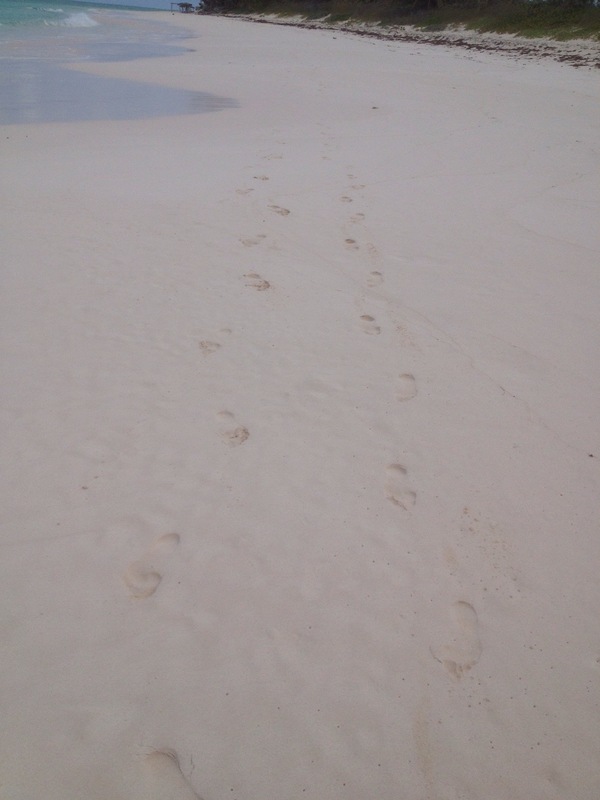 We have been kicking around these Bahamas islands for about ten days now in our sailboat.So what’s the carbon footprint of cruising in a sailboat? You would think it was pretty small, with a few solar panels or a wind generator for electricity and sail power to get around. But you can kick up a pretty big footprint even in a sailboat of you are not paying attention. There is a saying among cruising sailors that every harbor entrance takes its gallon of diesel. If you burn a gallon of diesel entering and leaving each harbor every day, then a cruising couple would be burning as much carbon as driving solo to work every day. A month of cruising like that, and you would have a smaller footprint if you flew to the islands and stayed in a resort cottage the whole time. That doesn’t even take into account impatient sailors who crank up the diesel whenever the wind drops, and all those deck top generators humming in each anchorage every night, and those outboard inflatables buzzing around. At one gallon per hour of fuel consumption, and at about eight miles per hour cruising speed under power, a sailboat running its diesel engine to get around is just as bad as the worst RV on the road. So we minimize engine use – we limit marina stops to once every three or four days and wait until the last minute to crank up the iron spinnaker. But that diesel needs to warm up for fifteen minutes, and you have to run it hard to keep it happy, so most marinas extract their half gallon of diesel each way anyway. And then there are those sticky situations where running the engine is necessary to keep off the rocks or make that last mile against the tidal current. We have been practicing the lost art of anchoring under sail – reactively easy to do here in the land of wide open anchorages over coral sands and steady gentle breezes. Most sailing texts tell you to use the engine to set your anchor and break it out – and most sailors do just that. But with a little planning – and an eye to a downwind escape route – you can set and retrieve an anchor under sail in all but the tightest or most crowded anchorages. We left West End a week ago Sunday. We had to motor into the tight anchorage at Allen’s Cay (1/2 gallon) since we arrived after dark (not recommended) and needed radar to confirm the passage in (no lights or buoys) and find the anchors boats in the dark. The next day we sailed down to Exuma Cays Land and Sea Park at Warderick Wellls, but we needed the engine to make the last mile into the moorings when the tide turned against as well s the wind. We chose a mooring close to the entrance so we would be able to sail out, and paddled our kayaks in the long mile to the registration office. Next day, we sailed around to a mooring by Emerald Rock (great snorkeling!) and Beryl’s Beach. From there we sailed south to Staniel Cay, and spent another half gallon of diesel maneuvering up to their dock full of mega yachts – they kept us waiting in the tidal channel while they docked one ahead of us. 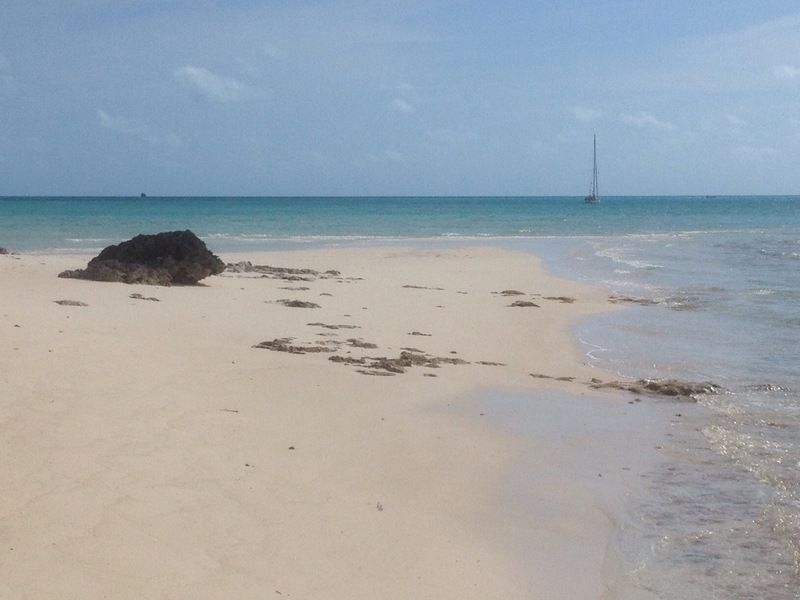 Another half gallon to leave the dock on Friday, and we sailed to Gaulin Island with its deserted beach and iguanas. We made and broke anchor under sail at Gaulin, then sailed through Dotham Cut, A narrow slot in the cays the tide poured in against us from the Exuma Sound. There was just enough wind to stem the tide. The wide open anchorage of New Bight on Cat Island was easy to make and break under sail. We made an excursion to Greenwood Resort for scuba diving on the wall and reef. With folding bikes on board, getting to the resort was zero carbon, since we biked the twelve miles each way to the resort. Well, actually, it turned out to be twenty miles to get there, since we missed the shortcut and misunderstood the directions given by a man walking on the road. But the six mile round trip pickup ride to the dive boat was probably about a half gallon of fuel. Fortunately, the dive site was only about a mile from the beach, so the carbon and hydrocarbon spewing twin 150 two-stroke mercs on the back of the dive boat only ran full throttle for about one minute in each direction – I am going to estimate that as two gallons for the round trip. 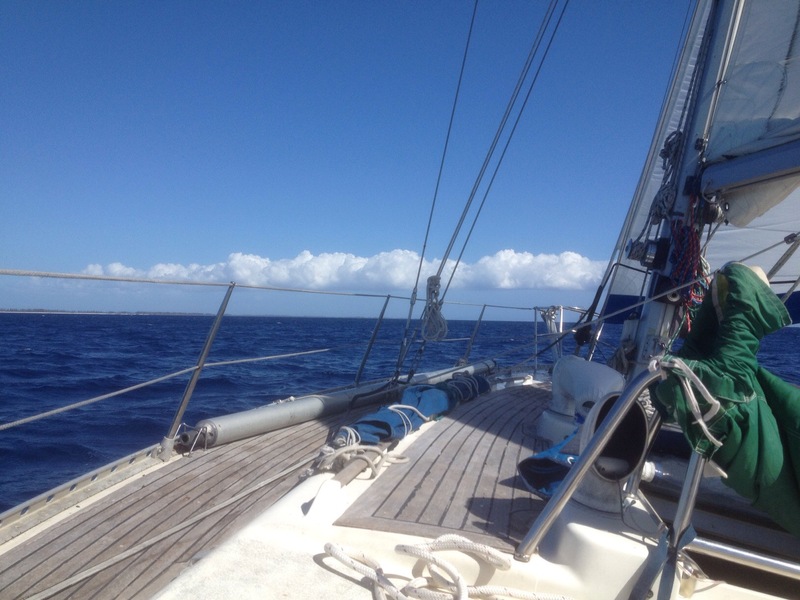 From Cat Island, we sailed for Eleuthera. Cape Eleuthera’s south coast was too exposed to anchor, and Davis Harbour marina extracted its gallon of diesel to get in and out. But Governors Harbor was easy to anchor under sail, and if our plans work out and we anchor tonight off Mutton Point near the Looking Glass, and make it out of Fleming Channel without firing up Perky the Diesel, we won’t need to run the engine again until we approach Beaufort Harbor back in the States. So looks like about five and half gallons of fossil fuel consumption for ten days of cruising the islands, including the scuba outing. Split two ways, that’s about 55 pounds of CO2. Add about five pounds to cover propane for cooking and the couple of kWh of dockside electricity we used, you’ve got about 60 pounds of CO2, living the good life in the tropical islands for ten days. That’s well within my budget. I want to be a living advertisement for the low carbon good life!